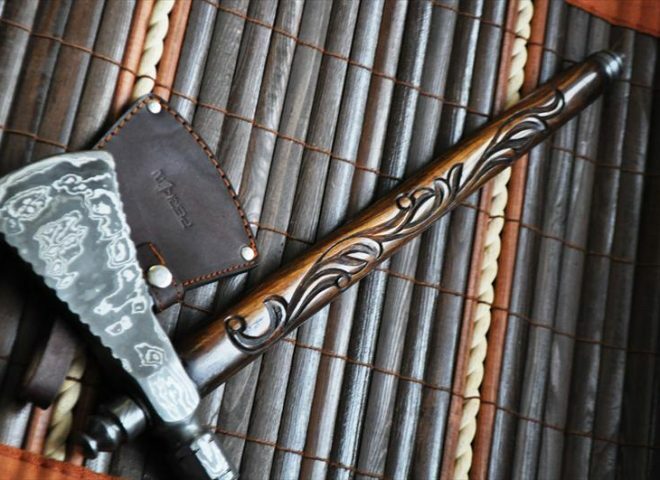 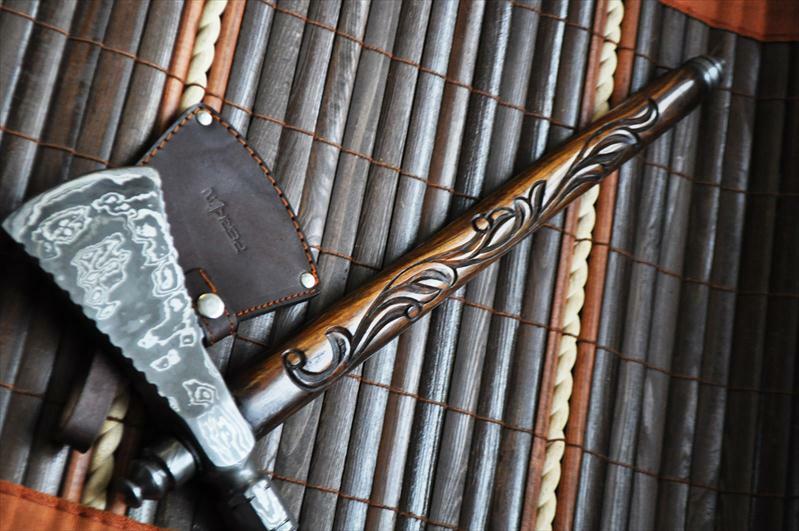 Custom Made Tomahawk Axe, Hatchet. 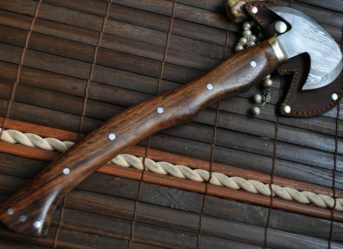 It has an Integral Forged Head that is made by hammer folding and forge welding 1095 & 15N20. 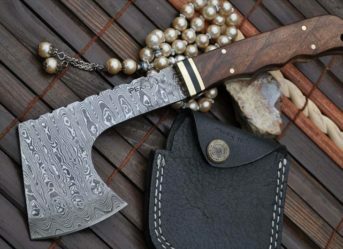 Blade is about 9.0 inches wide with cutting edge (from toe to heel) of about 3.5inches. 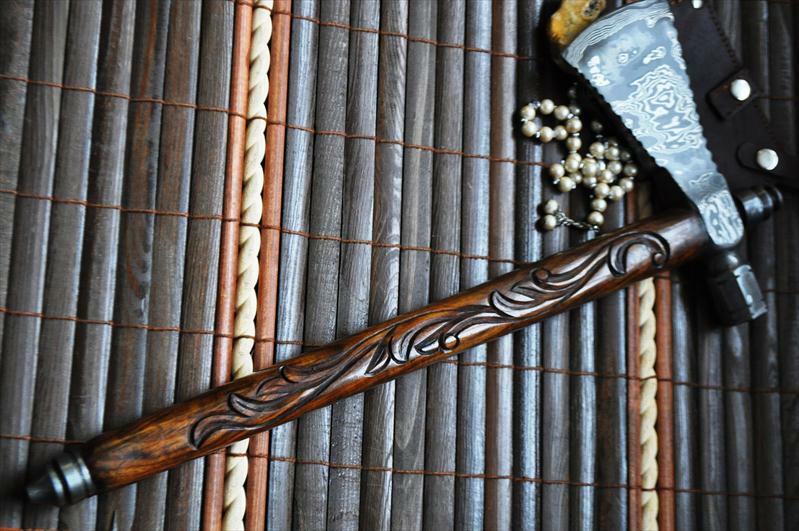 Beautiful Haft if made by using Walnut wood. 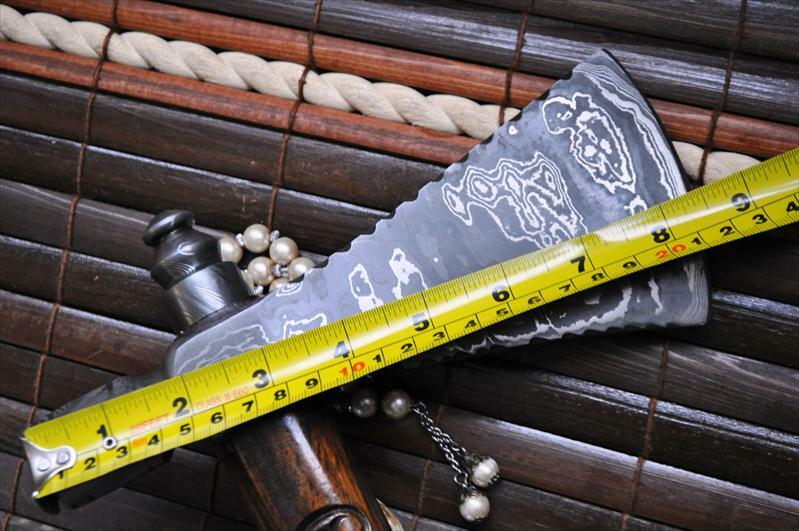 Curve of the haft provides excellent balance to the whole thing. 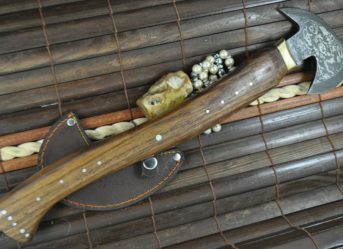 Overall length of this pipe hawk is 18.0 inches. 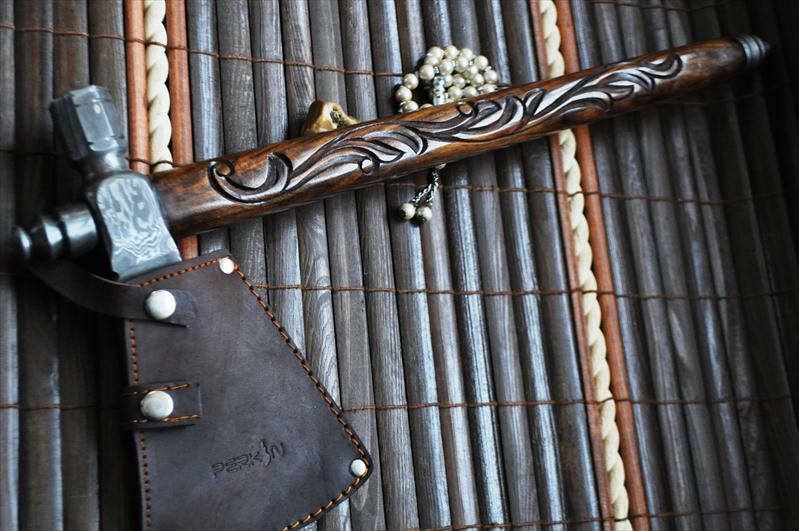 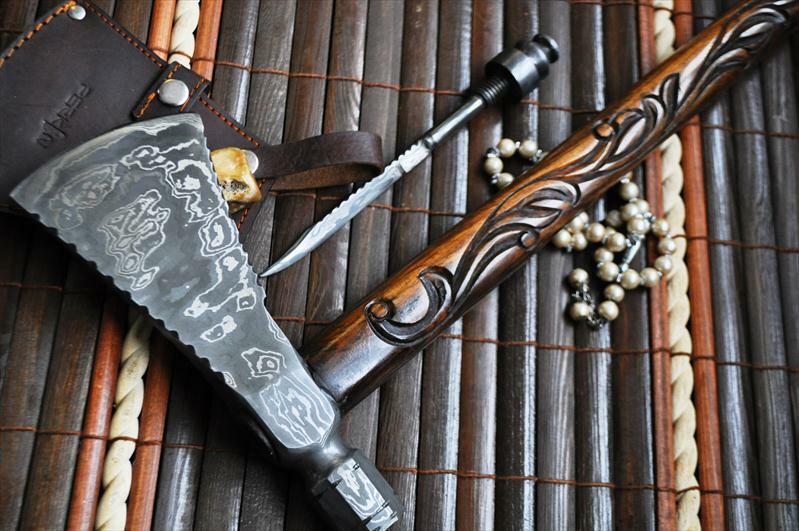 It simply is an amazing Work of Art.The blade cover is made by using genuine cow hide leather.